Helen Boubouli is the creator of The Grammar Genie, a foreign language school director, English teacher and entrepreneur with many years of experience. She has a B.A. in English and French from Worcester State College. Helen is convinced that learning can be an enjoyable, creative and interesting journey, and that grammar presented as art can motivate one to learn and equip one with valuable knowledge. Making grammar mistakes is attributed to not knowing the correct usage of the language. The Genie of grammar shows you how to improve both your speaking and writing skills easily, painlessly and effortlessly through lots of clever and brief grammar rules and a lot of easy to learn examples of all the grammar structures. The aim of the Grammar Genie is to discourage students and teachers from seeing grammar as a set of rules, and to help them to develop a richer understanding of the relationship between language and context, and to view grammar as a resource for getting ones message across using the correct language. 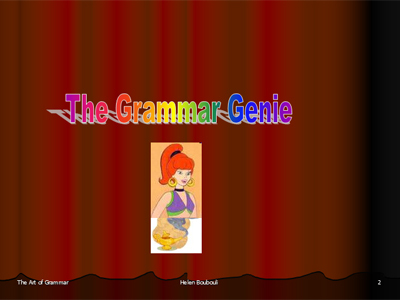 The Grammar Genie is an interactive multimedia program for English as foreign language learning. It’s also a unique grammar reference for ESL/EFL teachers , and for ESL/EFL students from Intermediate to Advanced levels. 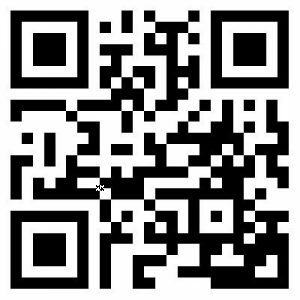 It is designed for self-study, it can also be used as reference in the classroom. The Grammar Genie is a pioneer in the way it presents grammar in a most artistic way ever. Having trouble learning English grammar: Effective guidance to help you learn English quickly, enjoyably and effortlessly. Grammar presented in a most clever way will make even the most difficult grammar points seem really easy. Whether you’re a learner of English as a second language or a native speaker, you will find the method of the Grammar Genie ingenious.